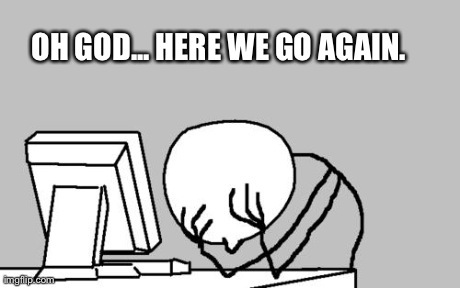 At one time or another we've all had the horrible realization that the email you just sent to all of your customers was missing the "First Name" property in the intro. That gap between "Dear" and your comma, no matter how small, seems like the biggest chasm you've ever seen in your life. Then you think, "no one will notice... right?!". I normally send emails with a different intro, something like “Hi”, “Hey”, or “Hello” which doesn’t look bad when the First Name field is empty. 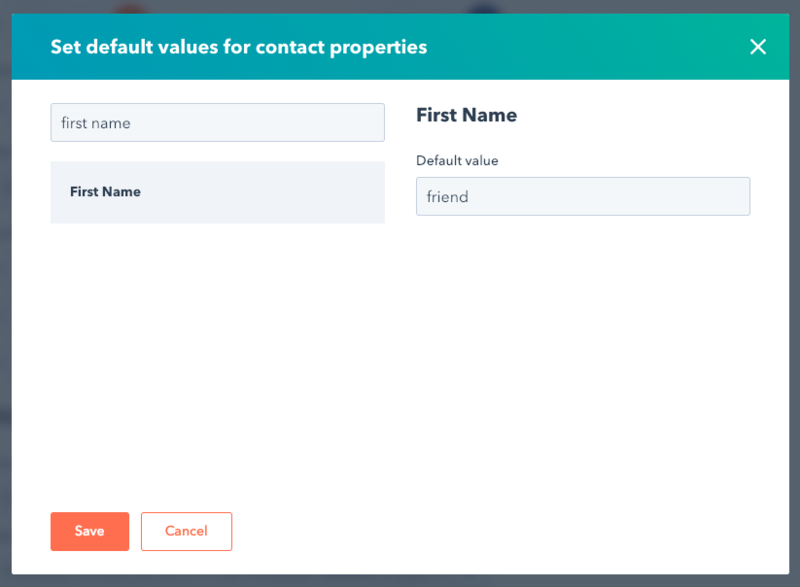 If the intro requires a default value I’ll typically set the value to “friend” since this seems to be the best alternative for a missing First Name field value. By default, the HubSpot email tool gives you the option to “Review” your email before you hit send. Within the “Review” section you will see all the personalization tokens you’ve used in that email (among other things) and what their default values are. By clicking the link “Edit default value” from the review section in your HubSpot email interface, you’ll be able to put a default value for the First Name field (or whatever personalization token you’ve used). Make sure to read the tool tip for more information. After you fill in a value here, all future emails you send will contain a value for “First Name” if the record in the CRM is missing their First Name. Neat! This is a great solution to a silly problem, but there is a better way to solve this as an administrator and make sure the entire company is setup for success. This is particularly useful if you are an administrator of the HubSpot platform and want to allow other members of your organization to send emails without you double and triple checking each email send. Setting a token within these settings will give you some peace of mind. If you want to avoid the embarrassment of sending an email with an intro that has missing information, you can follow a few simple steps we've outlined below. 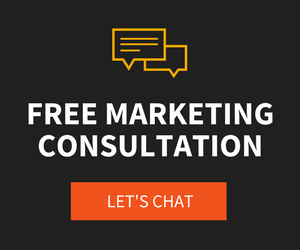 Step 1: Click the "gear" icon in your HubSpot portal and navigate to the section called "Marketing". 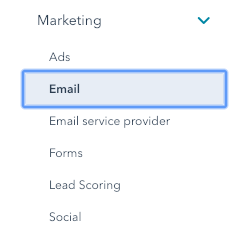 Step 2: Expand the list under "Marketing" and click "Email"
Step 3: Scroll to the bottom of the page and look for "Contact property defaults". Click the button "Edit Defaults"
Step 4: A search box will appear so you can filter through all of the properties you have for your contacts. Use this to find "First Name". Step 5: Type in the default value you want to have for your property and hit "Save". There have been a lot of updates to the HubSpot settings interface, and things have moved around, so hopefully this was helpful for you. 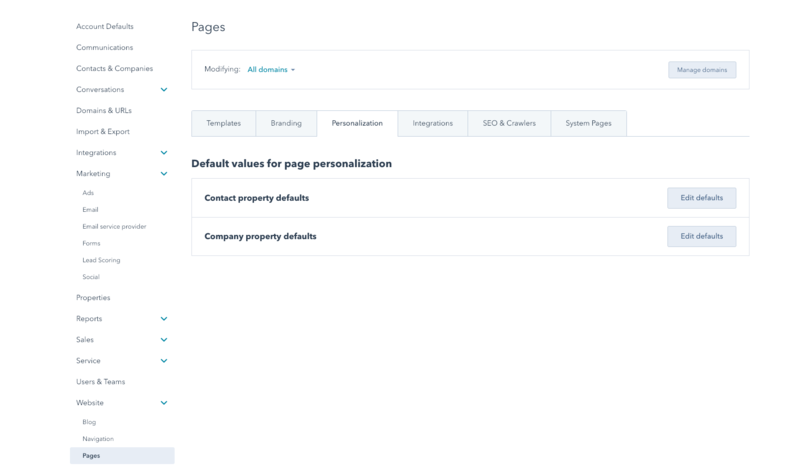 Pro tip: These settings are ONLY for the email personalization tokens, so if you want to manage how these default values appear when using personalization on your landing pages and website pages, you’ll need to go to “Website” from the settings menu and click on “Pages” then click the "Personalization" tab at the top of the page.